One thing that I have recently learned is how to properly keep fruit and vegetables in my fridge. Or out of my fridge as the case may be. Knowing this has really helped our food not only taste better, but we are saving money as well. I have been know to have liquid lettuce, leaking cucumbers and I won't even tell you what has happened to the tomatoes. I'm still having nightmares about it. After learning to use the crisper, I feel like a weight has been lifted off my shoulders. I'm no longer afraid to go to the back of my fridge or bottom of my crisper because I know the only thing that lurks there are fresh fruits and veggies. I had no clue how to use a crisper. We just plugged in our fridge and way we went. Yeah, we know how to work a fridge. We don't need a stinkin' manual! Well, we did. So I went to pull it out of the drawer and would you believe this is all it said about the crisper. "For more humidity slide slider to the left. For less, slide to the right." So to help you all avoid digging out your manuals (do you even know where your fridge manual is? 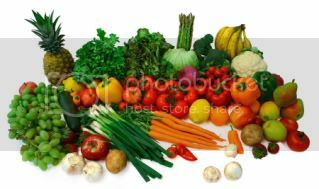 ), I thought I would throw this post together with a list of the basic fruits and veggies, how to store them and how your crisper helps to keep your vegetables yummy crisp! The crisper in your refrigerator works based on humidity. Picked fruits and vegetables need water to avoid becoming, well, liquid, moldy and rotten. I liken this to flowers being picked. You can't pick them and just leave them lying around, you need to trim them, put them in water, and keep the water fresh for them to stick around. Fruits and veggies are the same. Your crisper balances humidity, typically with a slider that determines how much air is let in to the crisper. The more air the less humid the environment is. The less air, the more humid. Make sense? The air in your refrigerator is very dry air, so some veggies need the separate compartment in order to keep their crispness. So what goes where you ask? Pretty much anything green should be put in a crisper with high humidity, that includes lettuce, spinach, green onions, beans, cucumbers, asparagus, celery, broccoli, pears, avacados, and all bell peppers. Things that do well at medium humidity are sweet potatoes, tomatoes, melons and most citrus fruit. Things that need no humidity are typically things that don't need storage in your fridge, like garlic, potatoes, carrots, and beets. These can all be stored in a cool dark place. many of us store these under the sink, but this is actually a very humid spot as when the pipes get warm it warms up the whole cabinet and will cause the root vegetables to take on water, get limp and start to grow all sorts of different colours of mold (I'm ashamed to say, I know from experience). So now that you know where to store what, as with any list of rules, there are exceptions. Some fruits and veggies do much better on your counter top than they do in the fridge. They still need to ripen and if they are put in the fridge too soon, they lose flavor and don't turn colour. Food that fall in this category are avocados, tomatoes, pears, peaches, plums and kiwi. Once they have ripened, you can store them in your fridge for up to three days and they will keep their flavour. After that it decreases rapidly, as does the state of the fruit. These fruit that ripen on your counter top also release ethylene, and should be kept away from other fruit and veggies or the ethylene will cause the other fruits and veggies to spoil. Is your fridge looking and feeling a little bit too small to deal with all these rules? Yeah, mine was too. So I got a huge tupperwear/plastic container and split the veggies up. The ones that need medium humidity get put in there, out of the bag I put them in at the store and I put the lid half way on. The biggest challenge to this is getting my husband to do the same thing. He tends to just grab what-ever and not replace the lid. But I know if I start explaining all this stuff to him, he'll give up and I'll end up making all his snacks. So I'm just keeping my mouth shut here. And checking the lid when I go to get something. The high humidity stuff goes in the veggie crisper. Our citrus fruits get stacked on the bottom shelf, apples, pears and peaches get stored in the fruit drawer at high humidity. Grapes get stored in a bowl on the bottom shelf. They need a medium humidity, but we eat them so quickly they do fine in the bowl. Berries don't last long in our house so I don't worry about storing them, but I did read on one container they need high humidity. I hope this helps you keep your food longer. One thing that has also really made a big difference in our produce quality is shopping locally, usually from farm markets. It has made such a difference in how long things stay fresh and how good they taste. I have created a chart as well, but it doesn't seem to want to upload properly. As soon as I figure it out, I'll post it!